Ever dreamed of beating a supercar in a drag race in your dad's wagon? 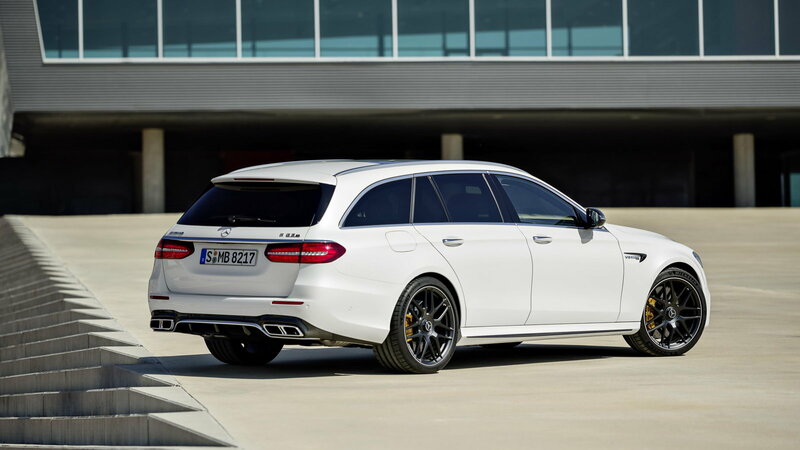 Then the Mercedes-AMG E 63 Wagon is the one for you. Before we delve into the details and try to analyze just what makes the new E63 so cool, let's take a moment to acknowledge the price tag. Starting at around S110K, it is already distinguished from most every other station wagon you can think of. Of course, with added options, you can easily get into $120 range (it is a Mercedes after all). But perhaps the most striking fact about AMG's newest wagon is the insane performance. With over 600HP and a 0-60 acceleration time of only three seconds, this practical family car finds itself in supercar territory. But that is not the only thing that makes the E63 special. >>Join the conversation about how good the E63 Wagon is right here in MBWorld. As with every Mercedes-AMG produced vehicle, our 5 passenger wagon is made of a plethora of cool features and unique parts that come together in this monster of a machine. The most Prevalent of such elements, of course, is the massively powerful AMG-built V8 biturbo power plant. While on the subject of cool parts, we can't help but to mention the awesome designs of the headlights and taillights, bring an amazing level of (beyond) 3rd read detail to the Mercedes, emphasizing just how precious each one is. The incredible variety of luxurious features and options available in the AMG wagon is most evident in the driver controls. Although this is by no means a driver-oriented design, given that it fits 5 people comfortably, Mercedes have made sure to make the driver feel special out of the bunch. The gauge cluster screen and the center screen present the driver with a lovely variation of options to personalize their E 63 with. One interesting feature in the UI is the track mode - which you will be reminded only to use on track! It shows you the E 63's Nurburgring lap time as well as options for recording your own times on the track. 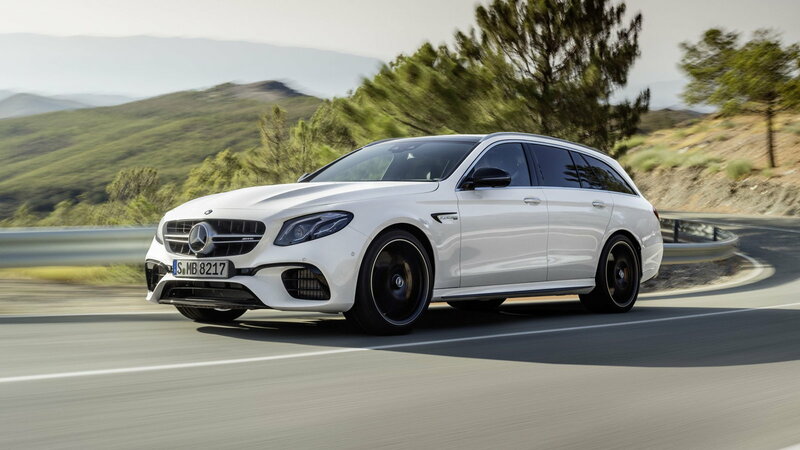 When speaking about the insane performance of the E63, the unbelievable power, high ride quality, and handling, it is difficult to come to grips with the unrivaled everyday practicality. Sure, the fuel economy at 16/22 MPG doesn't compete with your Prius alternative... but when you consider you can do 7 minute and 45 second laps around the Green Hell, do your grocery shopping at Costco, then grab the family and head for a 5 hours road trip in pure comfort all in the exact same car, you will realize that there is literally no other vehicle to compare the E 63 Wagon to. 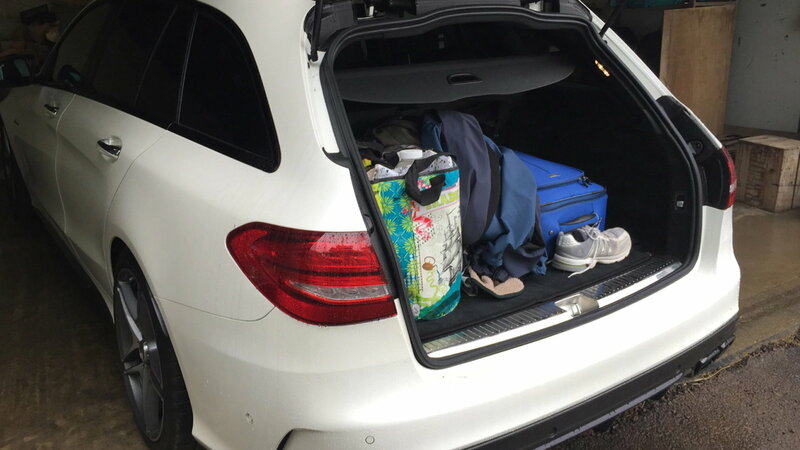 In fact, some (my father) might argue that the Mercedes-AMG E 63 Wagon is quite simply, the greatest automobile... EVER! Now that we've covered how much you can fit into the cabin of this 600HP monster, let's talk a little bit about the state of the art Mercedes-AMG caliber luxury you will be pampered in when you own one of these wagons. Everything from the heated and cooled seats, the panoramic sunroof, the driver controls and modules (including multiple touch controls), and interior lighting options, all the way to innovative features such as sound-proof glass, the incredible driver visibility cameras, and safety aids, once again almost seem to be attempts to make us forget about the power under the hood... Well, better luck next time! In truth, the brute power and the superb comfort the E63 Wagon provides perfectly compliment each other. Lastly, I would be remiss not to talk about the styling. 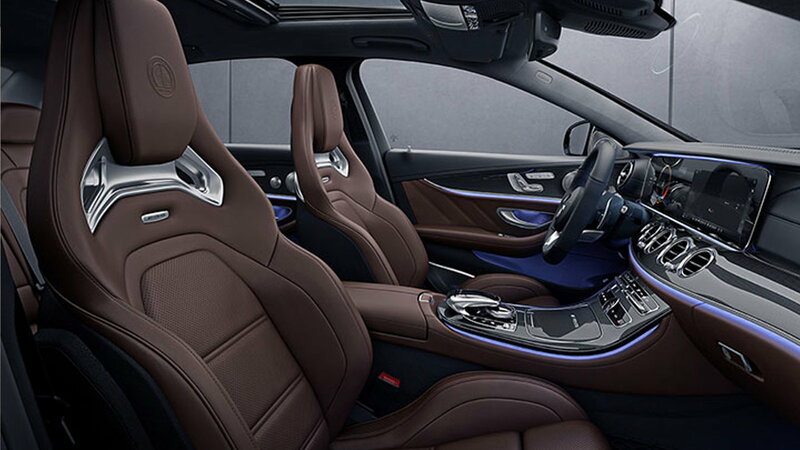 Since the undertaking of their new design philosophy, Daimler AG EVP of design, Gorden Wagener has not missed a single opportunity to coin the phrase "sensual purity". But how does that translate into what we see in today's E class? In the realm of automotive design, there are three important levels of attention in exterior styling. The 1st read of the car is the overall shape and proportion. It is everything you notice at first glance. The second read is the main design elements, the window graphics, fascia, and character lines. Finally, the 3rd read details are the little pieces of jewelry you will notice when you're paying close attention to the car. "Sensual" is a keyword to help inspire designers, in essence, to create more fluid, organic - but not necessarily feminine forms and lines. And "purity", as Wagener likes to point out, is striving to achieve the highest level of simplicity in design as possible. The E class is a direct result of this philosophy, and interestingly, the contrast between the serene design of the E class and the masculine and brutal aspects of AMG have created a perfect harmonious combination. And perhaps a wagon for the history books.